Your concern is not unlike my own situation not so many years ago. I broke into comics in England in 1984, working as a freelance handletterer on odd jobs for Marvel UK and 2000AD. When I moved to the US in 1989, I saw the (hand) writing on the wall when I noticed thatJohn Byrne was using computer generated lettering on books like NAMOR and SHE-HULK. I quizzed him about this when I saw him at a convention one year and shortly thereafter set about the task of creating my own fonts.There is no easy way of breaking into the “computer lettering field”, although I can say with assurance that it is a lot easier to do so nowthan it was when I was starting out and it fell to me to convince companies that digital lettering was a good idea. And there’s the rub. For instance, at the beginning of the century in the major cities of the world, before the introduction of the motor car,there was a roaring trade in leather buggy-whips. People may not have been able to hop into a yellow cab to the airport, but they could haila horse-drawn cab and get across town. The cab drivers needed buggy whips to drive their horses, and there were lots to choose from; a roaring trade. But, of course, when Henry Ford started the mass production of cars, the demand for buggy whips diminished, and many buggy whip manufacturers went out of business. But of course, there were probably a few buggy whip manufacturers back in the early 1900s who didn’t think of themselves as being in the buggy whip business; they thought of themselves as being in the leather goods business. For them, business didn’t die, it thrived, as demand for leather gloves, leather seats and all manner of leather trappings increased in tandem with the demand for motor cars. Letterers like you and I are faced with a very easy decision. Are we buggy whip letterers, or are we leather goods letterers? There’s no end to the info you can find on this subject. If you ultimately want to pencil The X-Men, maybe try to get an internship at Marvel, DC, or Acclaim (all in NYC). If you want to write and/or publish your own material, read up on self-publishing, go to comic book conventions and talk to people who are doing it successfully. The standard way to get lettering (or coloring or drawing) work is to create sample pages and send them to comics companies. Be prepared to persistent and get rejected a lot at the beginning. Go to your local comic convention and show your portfolio personally to editors & publishers, who will give you valuable criticism and feedback. Conventions are also a great place to learn about how the industry works, and meet and talk to fellow professionals, who are almost always willing to answer questions and share advice. • For a list of Comic Book Conventions, visit Comicon.com and look under “Real World Comicons”. • Marvel has recently rewritten their submission guidelines to make it easier for new talent to break in, and posted them on their site. Here’s a couple more sites that have lots of useful info on thecomics industry. Look under “Industry Addresses” for things likesubmission guidelines from the other major companies if you’re looking for work,and mailing lists of comic shops if you’re looking to publish yourself. 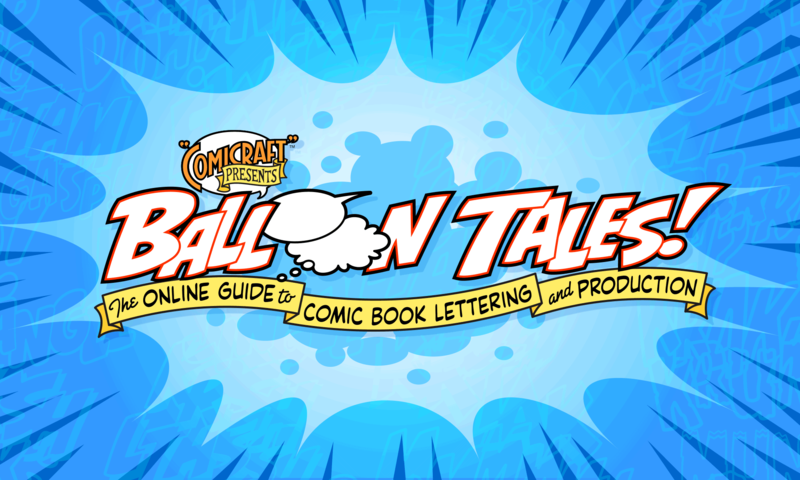 Rates paid for lettering vary as widely as the comics being letteredand published. Big companies like Marvel and Image pay anywhere frommy $20-$50 per page, but smaller companies or individuals will probablypay you more like $10 or $15 per page. Since you’re starting out, Iwould recommend lettering a few pages in a row, see how long it takesyou, and base your rate on much your time is worth to you. Factor inhow heavy or light the dialogue will be, whether they want specialballoons & lettering styles for different characters, and, finally,how much you think the publisher can reasonably afford. You may bewilling to take a little less at first to get your work published andthen charge more to future clients when you’re more established andproficient. As long as you are using the fonts, and they’re installed onlyon your computer, you’re well within the terms of the licenseagreement. (If you need to send the finished computer files tosomeone else for output, be sure to create outlines before sending your files off. )And the lettering credit is yours, though if you feel inclined toput a note where the fonts came from, we certainly appreciate it. In the past, letterers could charge a basic rate for lettering within a reasonable turnaround and including one round of corrections. Morecorrections than that, or on shorter time, add a rush rate. However,most of the larger comics companies now expect work to be turned around almost immediately, so none of our clients pay for rush or extracorrections any more. In this case, price yourself high and assureyour clients that your charge includes rush and correx.